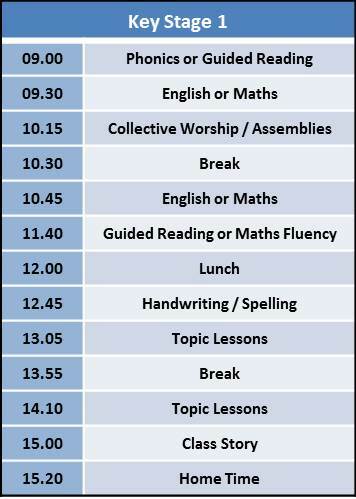 How the school day is organised is reviewed regularly so that we can adapt our provision to meet the current needs of the school in respect of children’s progress. 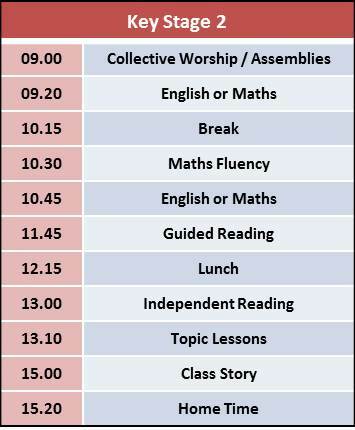 Generally, the pattern of the day in KS1 & KS2 is organised with English and maths lessons in the morning and the other curriculum subjects in the afternoon. 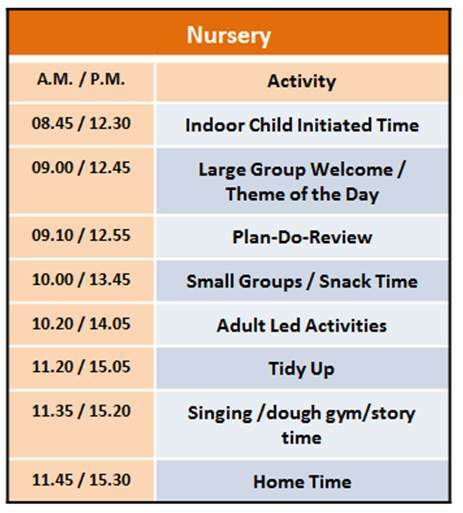 Within Reception, there is a balance over the day of adult-led / initiated activity and child-led activity. 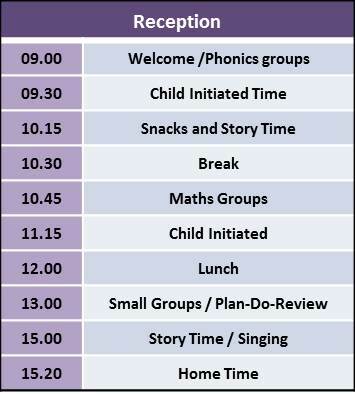 As with other year groups, children are taught within whole classes, small groups and as individuals.